If you love writing short stories, perhaps you've thought about the possibilities of earning a living from your art. 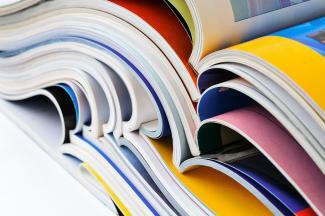 Like everything else, publishing has been changing rapidly as a result of the digital age. While it's difficult to make a living wage writing stories, you can find and create opportunities to grow your readership and earning potential. You'll find it very hard to earn a living wage from publishing short stories in traditional markets such as magazines. Even multi-published short story writers who have earned numerous awards will tell you that short fiction "doesn't really pay." A writer could expend a lot of time and energy writing numerous short stories, get them all published, and put them out in a collection, but still not earn back minimum wage given the amount of time spent on the effort. Why should it be so hard to make a living from writing short fiction and getting it traditionally published? A couple of factors play into the situation. 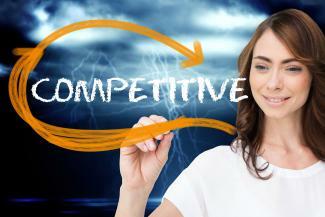 Fierce Competition - Breaking into the short fiction market can be difficult. The higher-paying short fiction markets such as Glimmer Train and Ploughshares are extremely competitive and can be tough nuts to crack, especially if you're a new author. Even if you publish regularly in top-notch magazines, you'd need to publish an impracticable number of stories per month to make anything close to a decent living. Low-Paying Markets - You will find many short story markets that are highly respected in the literary world, but most of them don't pay much money per accepted piece. Some even offer no compensation other than contributor copies. Short story contests can be a good way to gain acclaim and credentials if you win, but they typically don't award much money. As hard as it is to earn a living wage from writing and submitting short stories in the traditional manner, there are successful authors who say you can make decent money on short fiction in the digital age through self-publishing and genre writing. Small screens on mobile devices like tablet computers and smart phones have created more of a demand for brief, entertaining reads, and self-publishing gives you a way to get your stories directly to readers who might be interested in them. Self-publishing has been around for years, but with the arrival of Amazon's Kindle Direct Publishing (KDP) program, it became much less expensive and a great deal simpler. With KDP, authors can upload their stories directly to Amazon, making them available to readers all over the world. According to Dean Wesley Smith, authors can make good money from self-publishing their short fiction directly to KDP and other platforms like Smashwords or Draft2Digital which are distribution services that make your stories available to other electronic retail outlets like Kobo, Scribd, Barnes & Noble, and Apple. When you regularly self-publish numerous stories, you create opportunities for multiple income streams including audio sales, overseas sales, and inclusion in collections or anthologies. However, it's a massive amount of work since you are responsible not only for the content of the stories but also for editing, formatting, cover design, promotion, and marketing. If you write short stories and are interested in self-publishing, Dean Wesley Smith recommends that you learn how to write in numerous genres such as science fiction, horror, western, mystery, erotica, mainstream, and thriller. When you have a number of different stories in various genres readily available to readers, you increase your discoverability and potential readership with a diverse audience base. 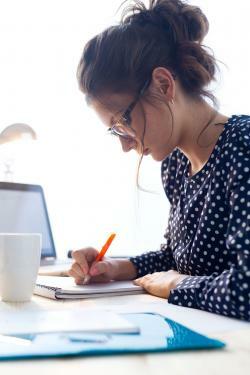 Though writing is an art, you must approach your self-publishing endeavors as a business. It's not easy, and it's not for the faint of heart. You need to come up with a business plan, and you need to consider how you are going to promote your work, whether via advertising, engaging with fans through social media, or both. If you want to self-publish short stories for profit, you must be very disciplined and produce new work regularly. Of course, your previous works continue to function as passive income since they never go out of print. Given the difficulty of making a living with short fiction, you might be wondering why you might want to keep writing stories. There are plenty of benefits to writing short fiction, some of them practical, some of them artistic, and some a combination of both. By writing tight, concise stories, you can develop your skills as a writer while beefing up your publishing credits and your earning potential. Love of the Form - Many short story writers keep going simply because they love the form, which is by necessity much more concise than a novel. Many writers delight in the joy and challenge of creating engaging, powerful stories in only a few words. Intellectual Property - When you write stories and get them published, you're creating intellectual property that could be of interest to playwrights, filmmakers, and video game developers who might want to purchase or option one (or more) of your stories to develop in the context of their particular area for a completely different audience. Experimentation - You can easily experiment with genres that are new to you since short stories don't demand a huge expenditure of time and energy like novels do. You can use the short story form as your playground to try new things and learn about yourself as a writer. Publishing Credits - In traditional publishing, publishing credits mean a great deal, since they identify you as a writer whose work has been vetted by professionals in the industry. Good publishing credits also help flesh out your writer's biography, which you'll need whether you're traditionally published or self-published. Publishing credits are also good to have if you want to write and traditionally publish novels. Opportunities for Development - If you are interested in writing longer works of fiction, stories can make good jumping-off points. If one of your short stories has a particular setting, character, or situation you would like to develop, you could expand it into a novel or even a series of novels. If you seek traditional publication for your stories, there are several tried-and-true avenues to get your work there, all of which can work together to help you get published in quality venues, bring name recognition, and grow an increasing roster of publishing credits. Glimmer Train accepts short stories about any subject or theme in their standard submission category. They also have four contests per year to which writers may submit short stories. Glimmer Train pays $700 per accepted story in their standard category and between $2,000 and $3,000 for first place in the various contests. Ploughshares is the literary journal of Emerson College, and it's been publishing high-quality short fiction since 1971. They accept submissions from June 1 through January 15 each year. Payment for stories and essays ranges from $50 to $250. They also have an Emerging Writer's Contest. Winners of the contest receive $2,000. Tin House has been around since 1999 and features short stories, essays, poetry, and interviews. They consider unsolicited submissions in March and September of each year. Short stories should be no more than 10,000 words. Payment for stories ranges from $50 to $200. Zoetrope All-Story got its start in 1997 with founder Francis Ford Coppola. They accept unsolicited short stories of up to 7,000 words, and they request that you submit no more than two stories per year. Payment per story isn't listed, but it's definitely professional level, considering they've published stories by Margaret Atwood, Salmon Rushdie, and Haruki Murakami. Writers of speculative fiction, such as science fiction, fantasy, and horror, will find a great many magazines that are looking for good stories. As with literary magazines, submission guidelines and reading periods vary. If you enjoy writing stories in these genres, you might like to check out some of the best-known markets. Analog publishes science fiction in which science, whether physical, psychological, or sociological, is a key part of the plot. You can submit stories that are under 20,000 words. The magazine pays eight to ten cents per word for accepted short stories. Asimov's Science Fiction Magazine got its start in 1977 with legendary science fiction writer Isaac Asimov at its helm. The magazine is seeking high-quality science fiction stories that are strongly character driven. They accept stories under 20,000 words. Payment is eight to ten cents for stories of 7,000 words or less. They pay eight cents for every word above 7,000. Apex publishes short stories in the genres of science fiction, fantasy, and horror, and they're seeking diverse voices. Stories must not be any longer than 7,500 words, and they pay six cents per word for an accepted story. Lamplight is seeking literary dark fiction. No zombies, werewolves, or vampires allowed. They specialize in creepy and unsettling tales that call to mind The Twilight Zone and The Outer Limits. The magazine accepts submissions of stories up to 7,000 words. Payment is three cents a word, with an upper limit of $150. An anthology is a collection of short stories by different writers, and they are particularly popular as e-books. If you have a short story in an anthology that includes authors who are well-known, it provides a great tool to introduce new readers to your writing. In traditional publishing, anthologies are compilations of reprints that have been published in literary magazines, such as "Best Of" anthologies. Self-published anthologies come about as a result of networking, when writers who share common interests decide to put one together. Either way, an anthology can help you get more readers for your work. If you want to beef up your writer's credentials, it never hurts to enter respected short story contests. While some legitimate contests charge small reading fees, your best bet is to enter free contests that award cash prizes, since scam contests charge fees. 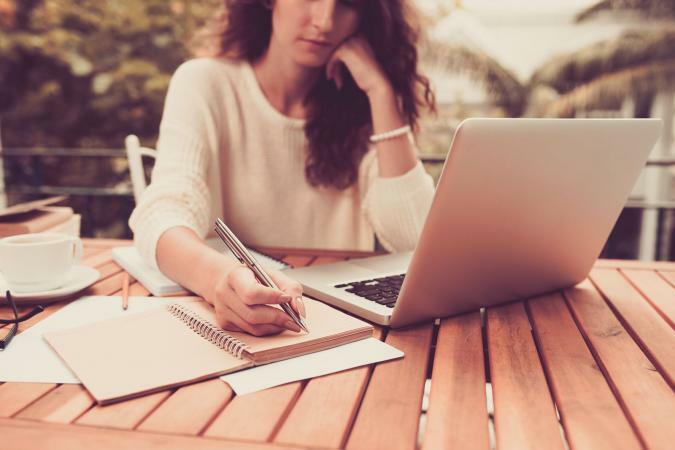 Some writing contests are highly prestigious and could have a significant, positive impact for your writing career if you win, such as a publishing contract or the interest of a literary agent. You can check websites for freelance writers like Upwork and Freelancer to see if they have jobs that relate to writing short stories. Since you will likely be ghostwriting these stories, these jobs won't help you with publishing credits. However, they will give you good work experience and help you earn some money doing what you love. Absolute Write - If you're looking for good, solid critiquing, you can't go wrong with the critique boards on the Absolute Write forums. The main critiquing forum is called Share Your Work. There's also a forum called Beta Readers, Mentors, and Writing Buddies, where you can network with people with whom you can swap stories for feedback. Critique Circle - With nearly 3,000 members, Critique Circle is an active online critique group that's been around since 2003. They have a give-and-take system whereby you must critique other writers' stories to receive your own critiques. Writing Forums - In the Writing Workshop sub-forum of Writing Forums, you'll find opportunities to work with other writers to critique stories across a wide range of genres, including general fiction, science fiction, horror, mystery, fantasy, crime and thriller, mystery, erotica, and others. Critters - If you write speculative fiction, including science fiction, fantasy, and horror, you'll want to check out Critters. It's been around for over twenty years and is a fabulous resource for critiques and networking with other writers. If you decide to participate in one or more critique groups, you'll need to don a thick skin, since opinions of your work are bound to vary. Keep an open mind to all comments and suggestions, then use what helps you. You'll need a healthy dose of confidence and determination to succeed as a short story writer, whether you're after profit, critical acclaim, or both. If you choose the traditional route, your stories will likely be rejected more than they're accepted. If you choose self-publishing, there will still be people who don't like your stories. Rejection is part of the deal, but it doesn't have to be a deal-breaker. If you love writing short fiction, then persevere. You'll never get anywhere near your dreams if you lose heart and give up.